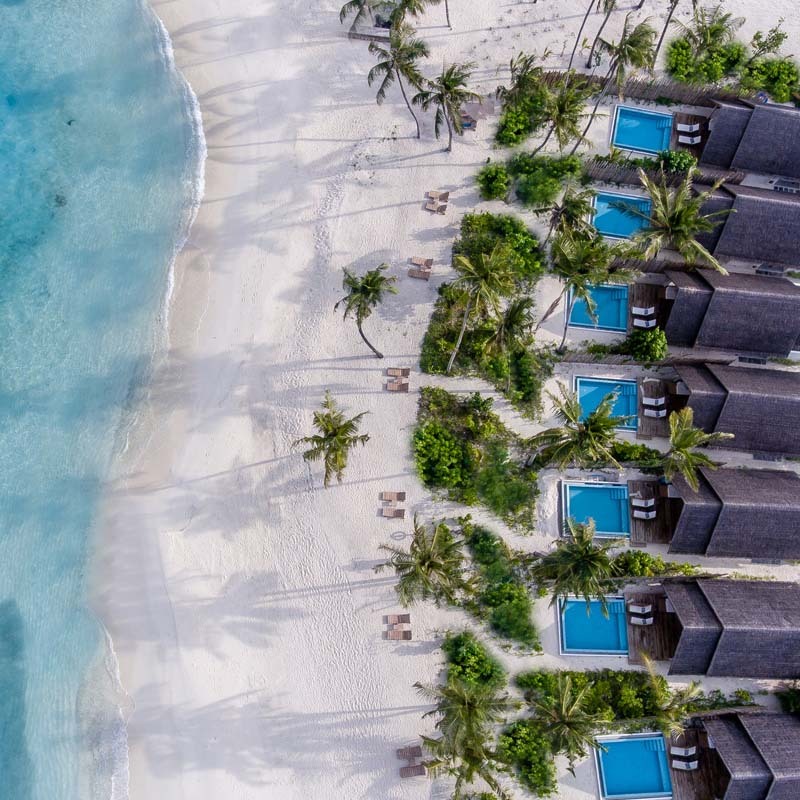 On the north eastern edge of Faadhippolhu (Lhaviyani atoll) sits this exquisite little island between two channels connecting the atoll’s inner lagoon to the outer sea. 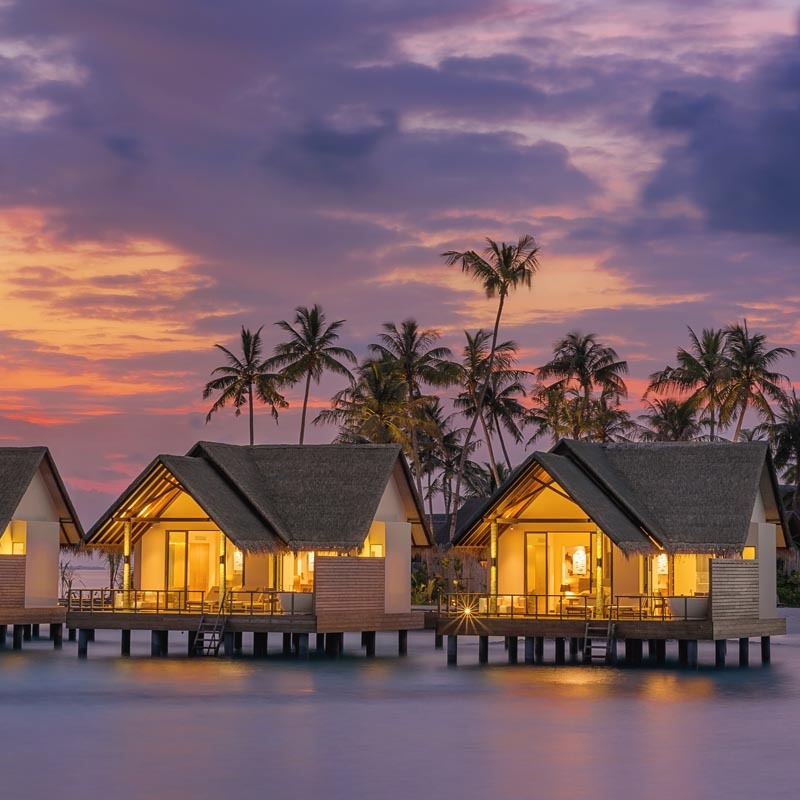 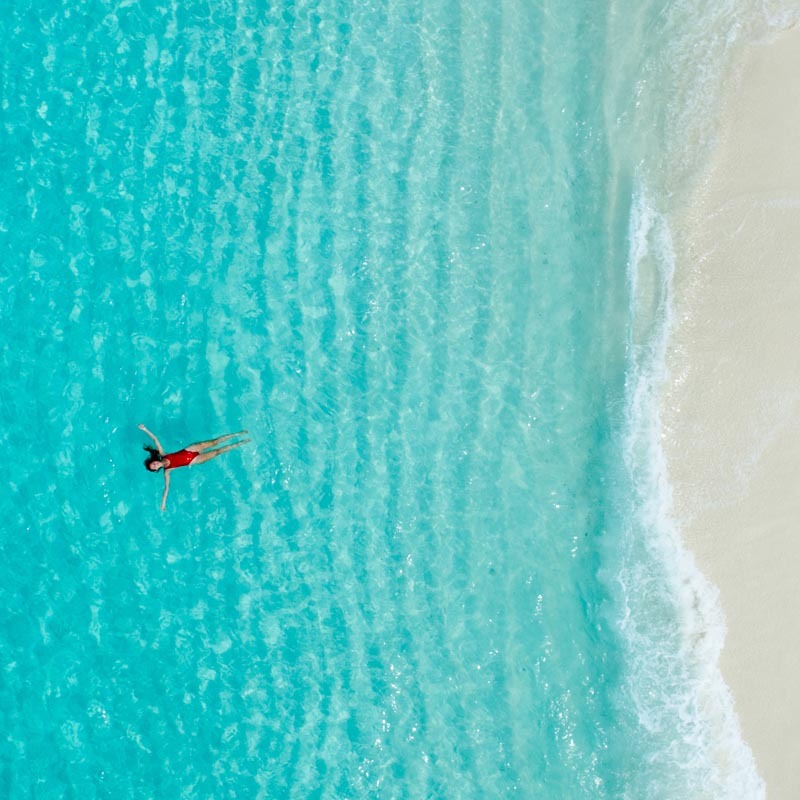 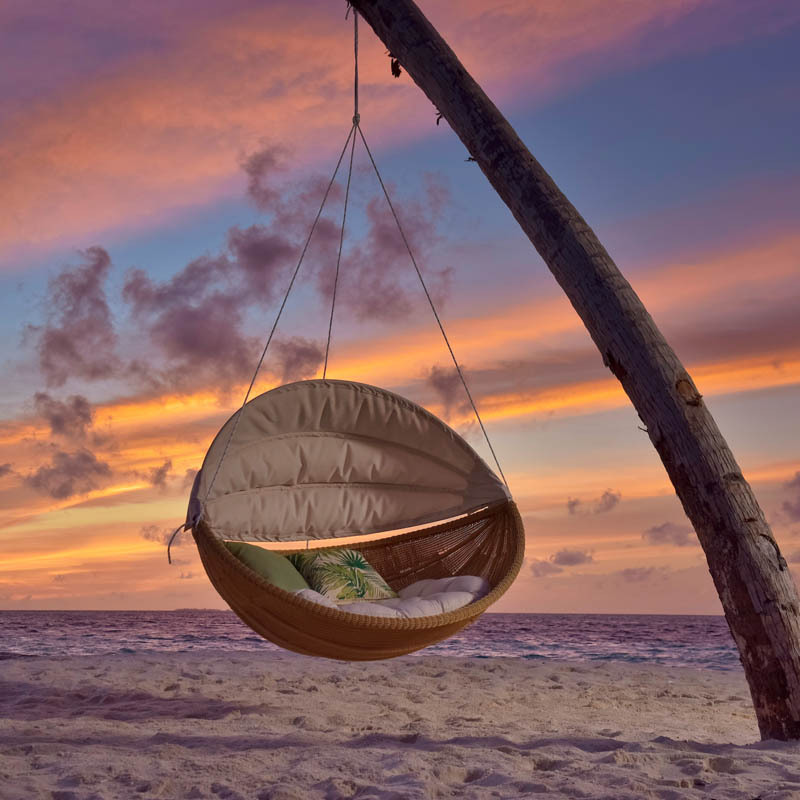 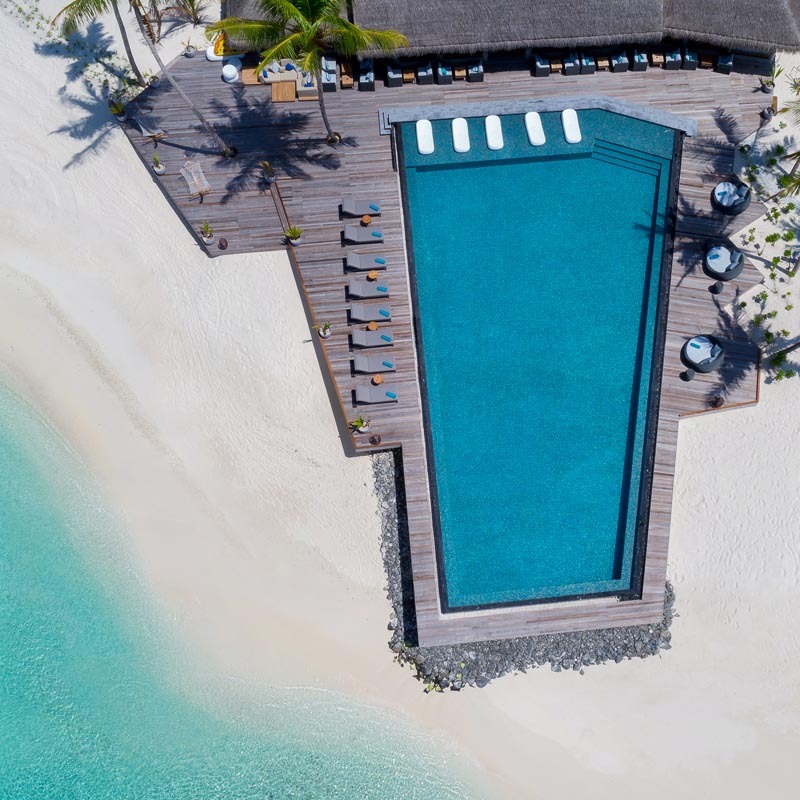 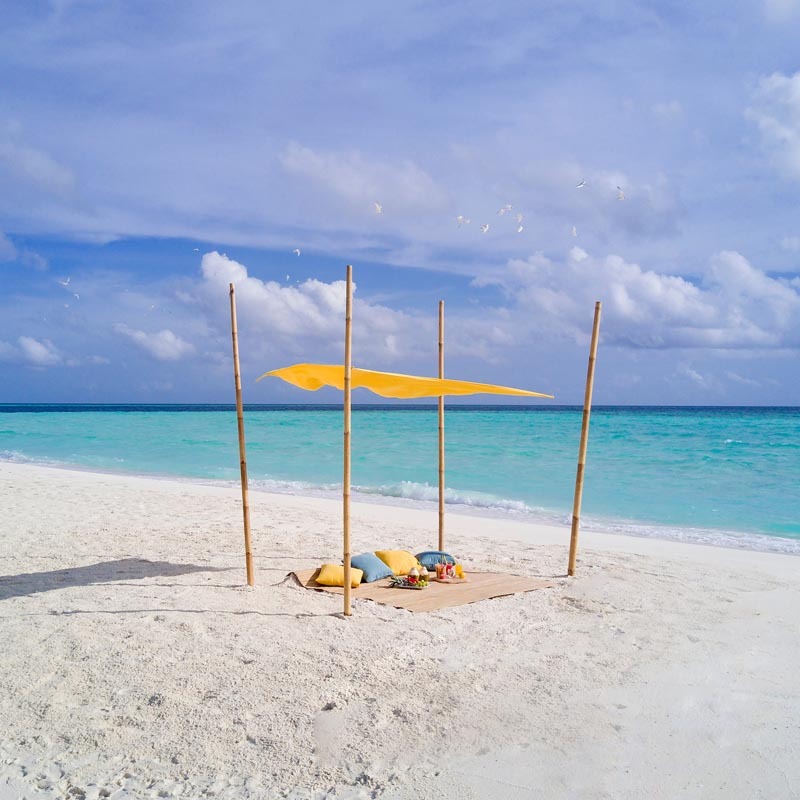 Merging quintessential Maldivian design with modern aesthetics, adventurists, conservationists and traditionalists will be spoilt for choice with the resort’s many overwater and underwater experiences. 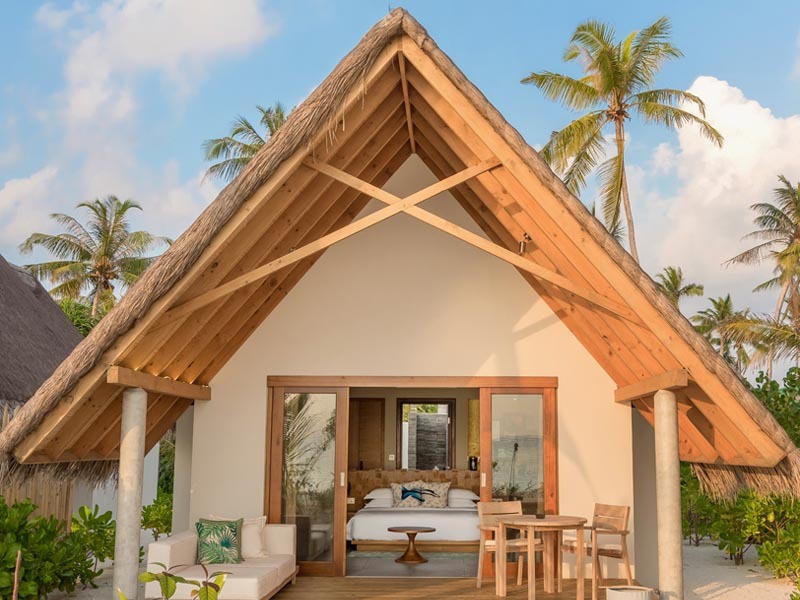 These Villas are located on the eastern side of the island facing the Sunrise and has the view of the “Maakandu”, the vast Indian Ocean. 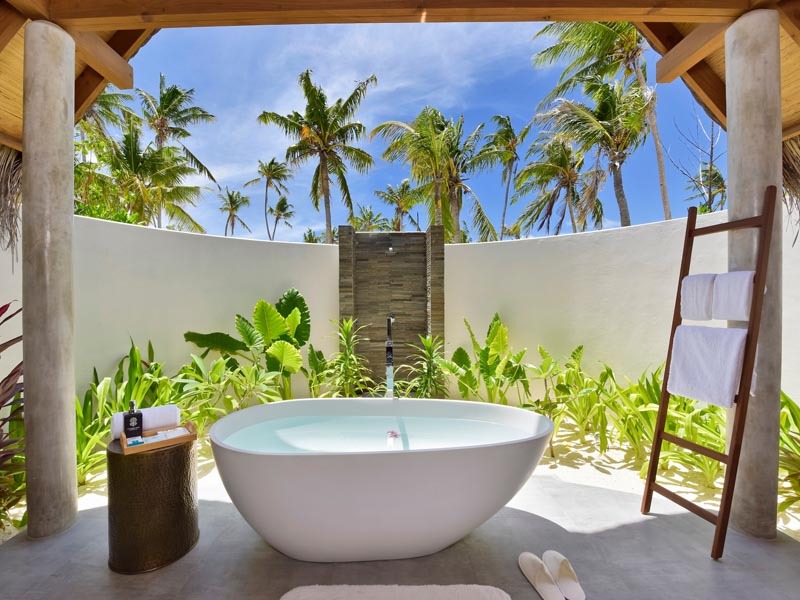 Step into a spacious bedroom with an outdoor bathroom and outdoor decking furnished for daytime and night time dining. 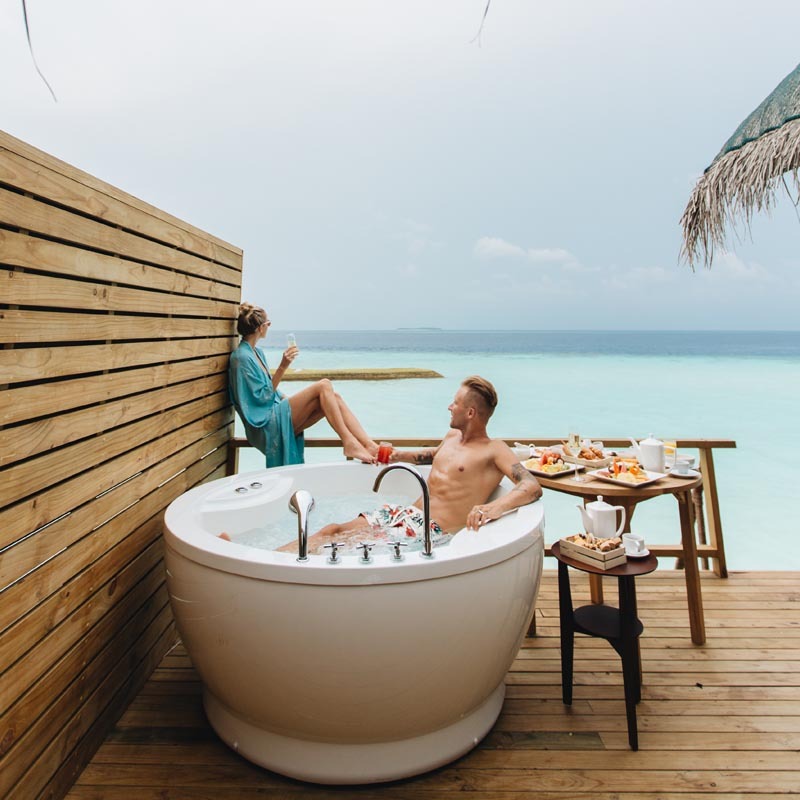 Our Water Villas are located facing the “Kandu-Olhi”, the Channel and is furnished with an outdoor Jacuzzi. 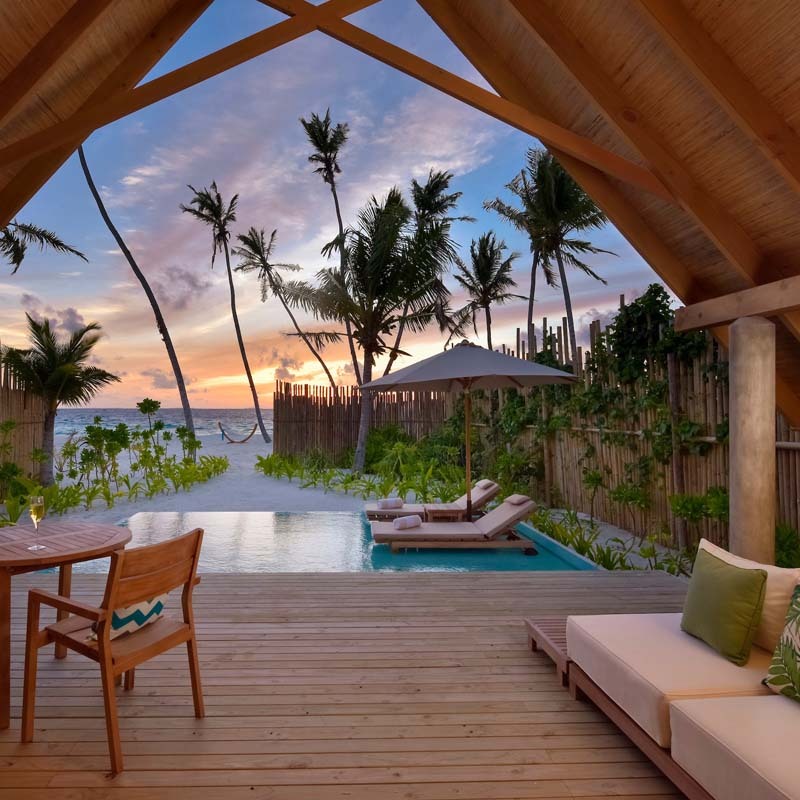 These Villas are located on the Western side of the island facing the Sunrise and has the view of the “Etherevari”, the Lagoon. 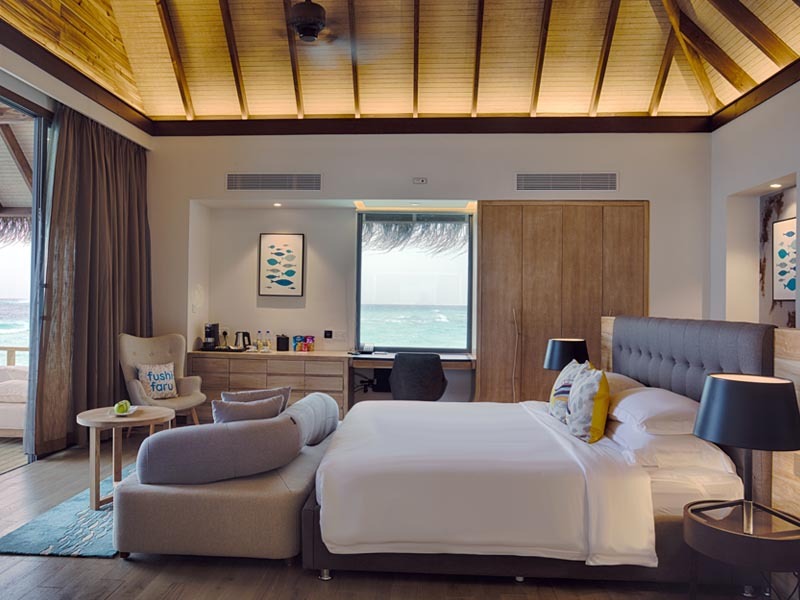 Furnished with contemporary Maldivian design aesthetics indoor and outdoor, walk into a spacious bedroom with a king-sized bed, study table and an outdoor bathroom with double vanity, rain shower and bath. 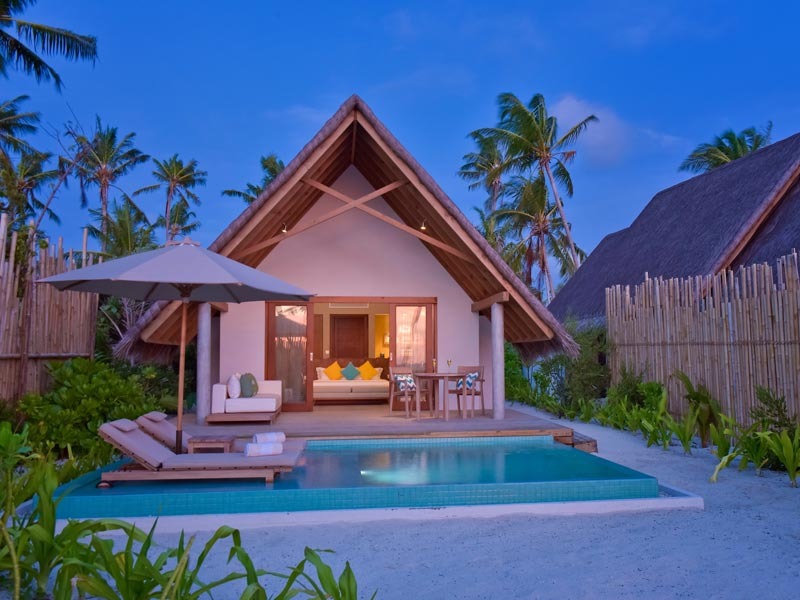 These Villas come with their own Pool and are located on the Western side of the island facing the Sunset and has the view of the “Etherevari”, the Lagoon. 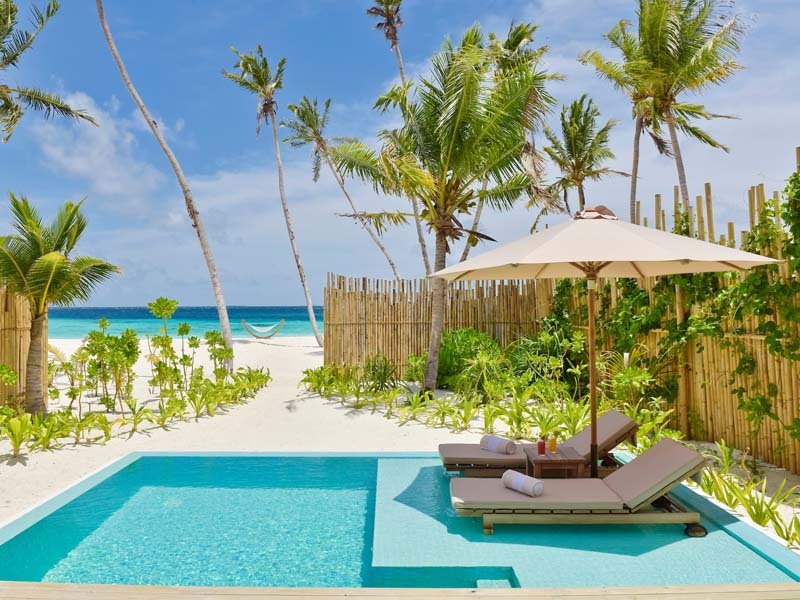 A spacious villa with an infinity plunge pool and direct access to the beach. 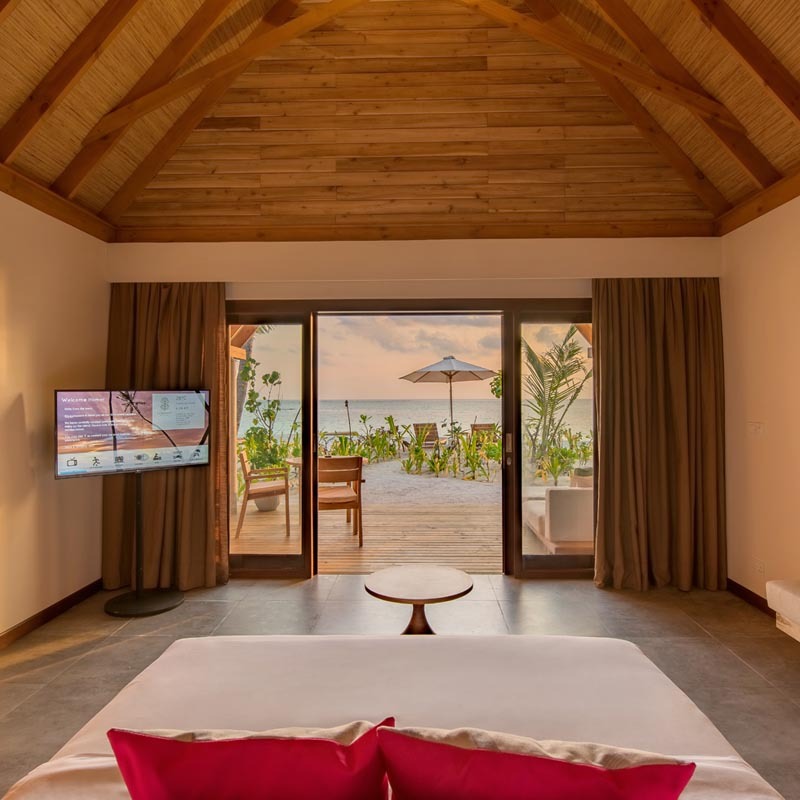 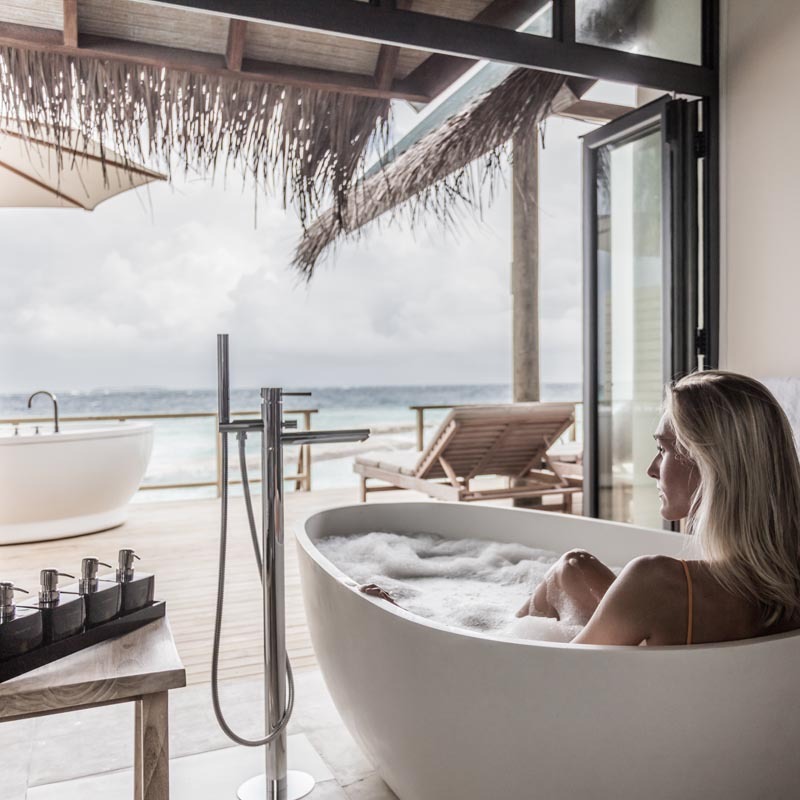 These Villas come with their own Pool and are located on the Eastern side of the island facing the Sunrise and has the view of the “Maakandu”, the vast Indian Ocean. 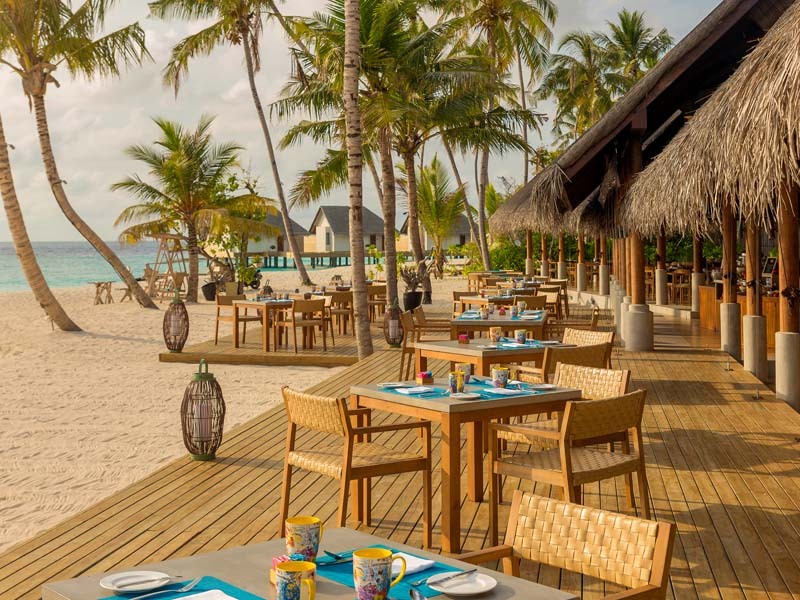 Serving scrumptious breakfast buffet and palate pleasing international cuisine at lunch and dinner. 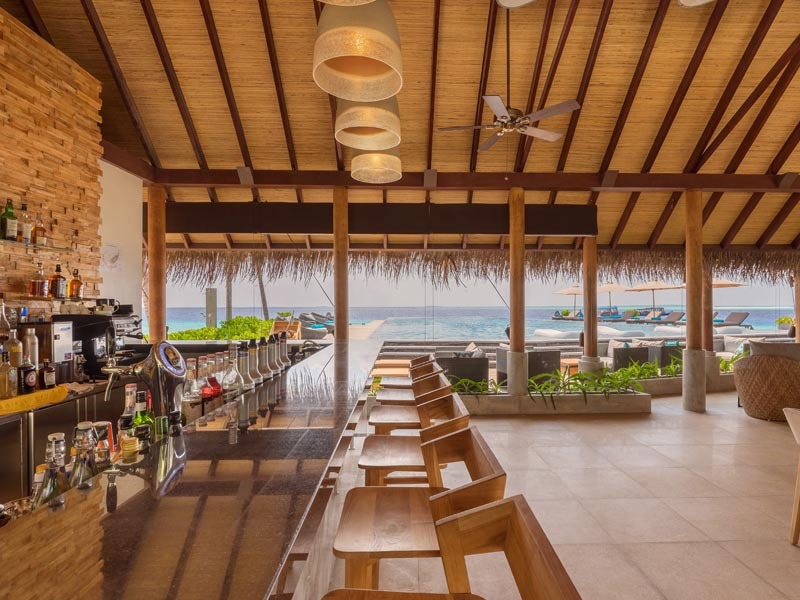 Serving the finest array of meat and freshly caught seafood, grilled to perfection. 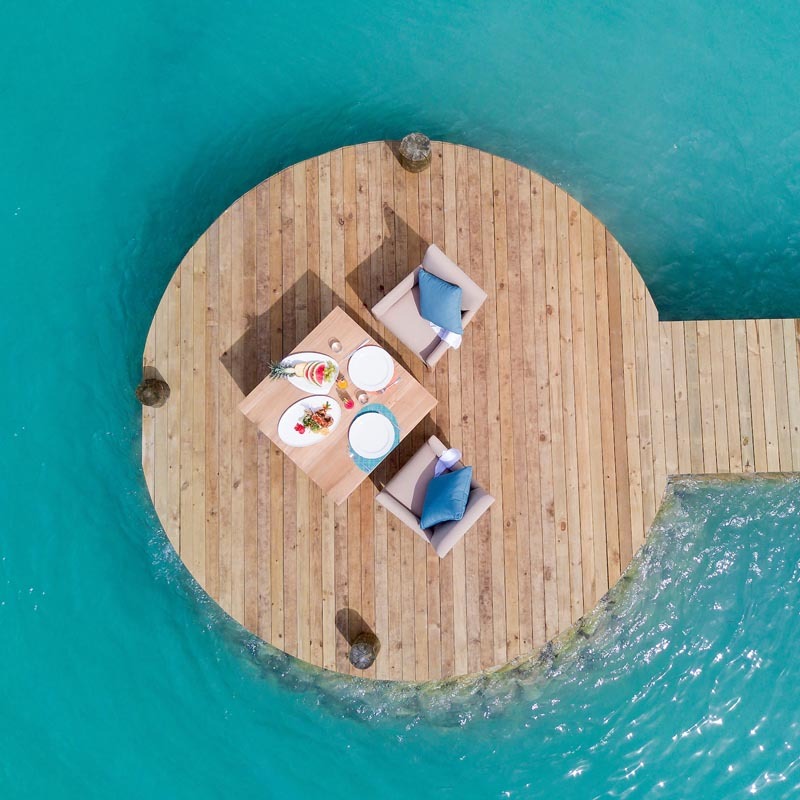 Savour our signature cocktails, fun mocktails, cleansing detox mixes and light meals while you lounge by the pool. 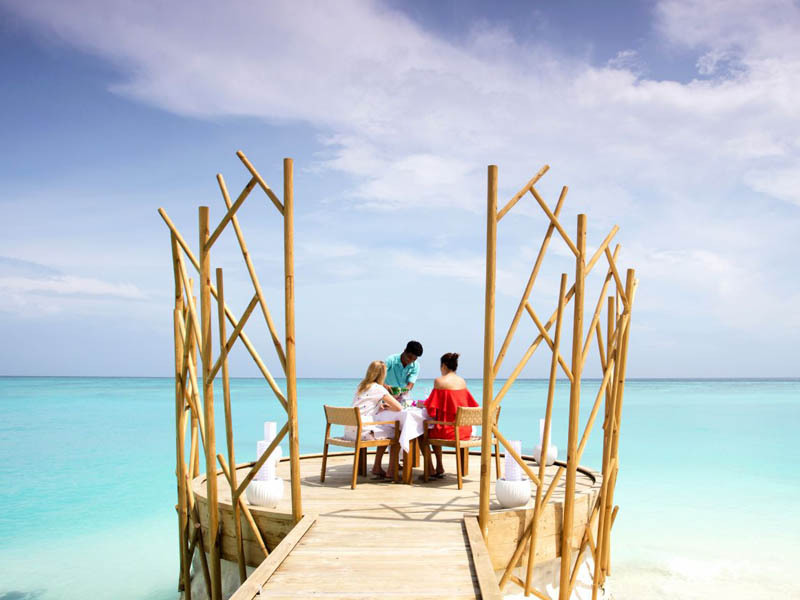 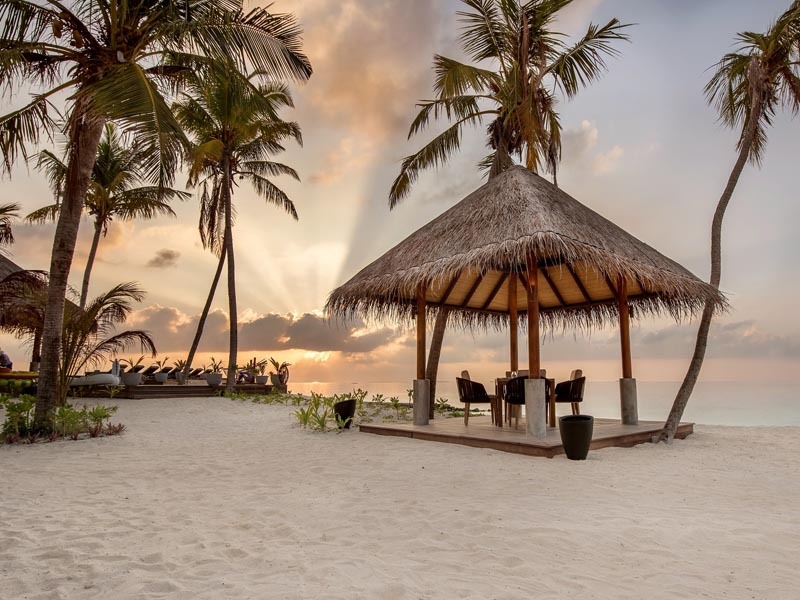 Envision the perfect outdoor dining option and pick a spot anywhere on the island or on the sandbank for a customised indulgence experience.